Yesterday’s cake was a hit. My friend and her boyfriend very much appreciated my efforts, and we enjoyed every bite of the cake. I came back home feeling grateful to have met and befriended such a warm and easy going couple in Frankfurt. Some people are just so easy (in a good way). Easy to open up to and easy to be with. Just delightfully easy. Transporting the cake there, however, was not. I made the mistake of decorating it on the cake stand instead of a cake board, so when it came to finding a way to carry it to my friend’s flat I was stumped. No box nor carrier was big enough to hold my cake + cake stand safely. There was only one solution : take it in my hands, and carefully (and s l o w l y) walk there. And God forsake the man/woman who bumps it off the stand. And I am very pleased to say that it tasted as good as it looked. The left overs reside safely with my friend, otherwise it would be sitting in my belly right now. Which would not a good weekend make*. However! I have a little bit of cake left in the fridge. 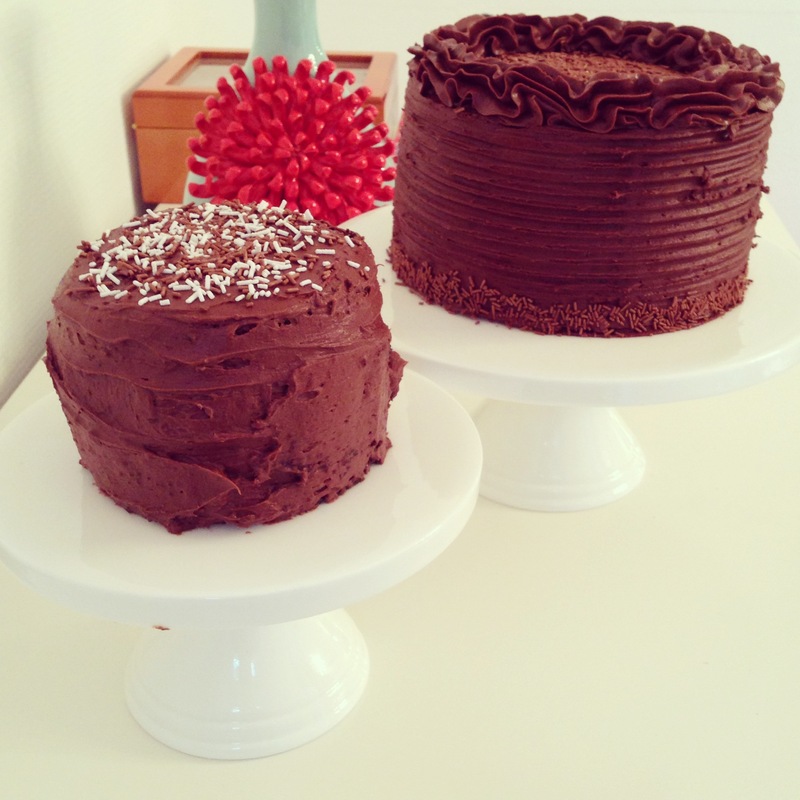 The original recipe makes a three layer 7 inch cake and my cake tins are 6 inches. After my German lessons, I was in no state of mind to adjust the recipe to suit a 6 inch tin. This meant I had leftover batter/frosting, and this, my dear readers, is how little cakelet (+nine cupcakes) came to be! When Amazing M returned from her grandparents this afternoon, I served some of this to Oma and Opa who were impressed, but I got the feeling that M didn’t share their opinion when she spat out a mouthful of cake and didn’t ask for more. Grumble. The fours days apart did me the world of good: Cake+cakelet was born, I could finish my German homework in peace, and I got precious time to just be me. Not a mother or a wife. Just plain old me. Which is fab! Other than a few delicious things like, say, a trip to Six Senses Yao Noi or this(DROOL), I find that having or claiming ‘me’ time is the best thing I can give myself. Plus, the time apart gave us the chance to properly miss each other. I was lucky enough to be the recipient of the most intense cuddle from M when I greeted her at the door. Actually, she literally threw herself at me and declared, “I missed mama!” Priceless. p.s. apropos the blog title – it has nothing to do with this post. It merely explains the result of having to learn a very un-easy language. Also, I could not think of any other alternative title. *many minutes spent at the gym. Gym going is my preferred form of exercise, but I’d rather have a lazy three day weekend. Your (cup)cakes are indeed amazing! 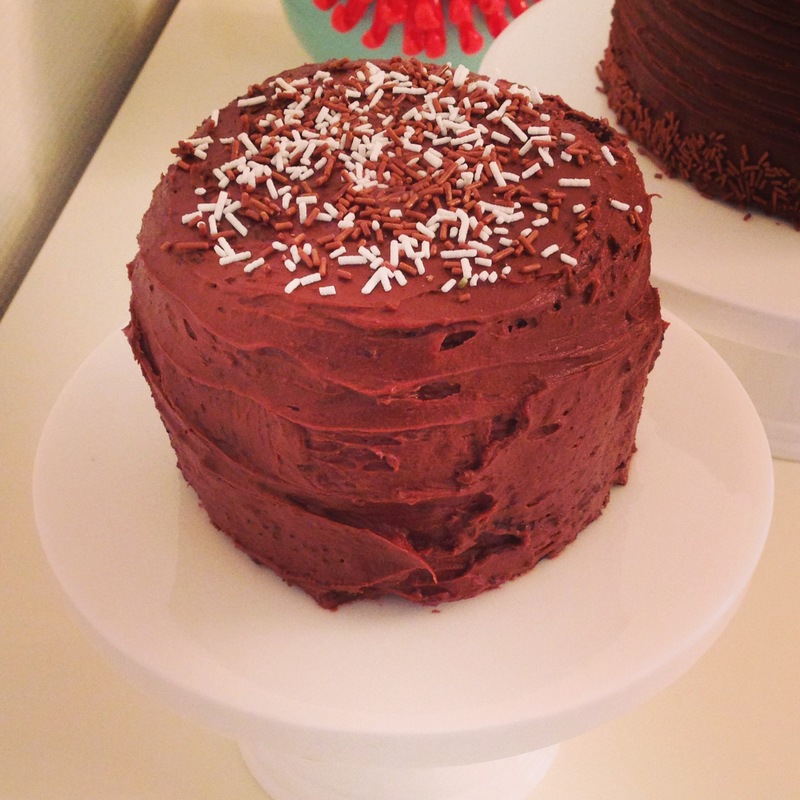 If you do start a new venture…cake baking could be in your future! Thank you so much! One can only dream… what about your sling shop? ← Last night I had a cakegasm.